More facts, more trivia, more investigation; but a definitive breakthrough is yet to come by in the Sheena Bora murder case, which has grabbed media space like no other story has this year. Rakesh Maria, Mumbai's top cop, said the police have recovered the passport of Sheena from Dehradun, which proves she did not go abroad to study. The Mumbai Police have already arrested three persons for the murder. But investigators struggled to establish their motive despite Maria personally interrogating the suspects. On Friday, though, Maria claimed that he had a fairly good idea about the motive and investigators had reached a conclusion. Sanjeev Khanna, the former husband of Indrani Mukerjea, has confessed to his cognisance in the crime, Maria told the media on Friday night. Indrani was shifted to the Bandra police station (PS) while Khanna was grilled at the Khar PS, a police source said. "We want to question them separately as well as jointly." Khanna was arrested and brought to Mumbai on Friday morning by the police team that went to Kolkata to question him. The Bandra Metropolitan Magistrate Court let the police keep him in their custody until 31 August. The investigators also brought Mikhail Bora, Sheena's brother, to Mumbai from Guwahati. He gave some points to the police, Maria said. 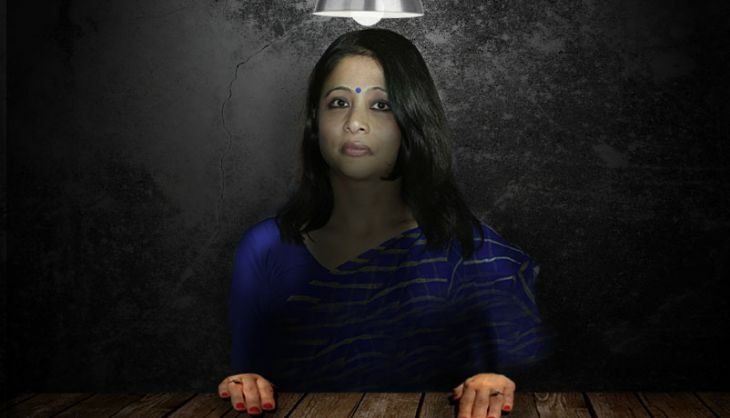 On Thursday Mikhail had told the media in Guwahati that he had clinching evidence - photographs and recordings of conversation - that could seal Indrani's fate. Apart from interrogating Khanna, the police also took him to those spots which he reportedly visited during his stay when Sheena was murdered. Sources said investigators were trying to trace the mobile phone locations of both Indrani and Khanna to verify whether they moved together during the period. Away from Mumbai, another team of investigators visited the place where Sheena's body was allegedly disposed near village Pen in Raigad. It took six hours of digging to recovered remains of a body that Maria said was Sheena's. There would be a DNA test of the remains on Saturday. The remains were sent to the Forensic Science Laboratory at Kalina, Mumbai. "The Raigad police, after recovering the charred remains of an unidentified person near the spot on 23 May, 2012, had sent bone samples to JJ Hospital for further analysis," a police source said. "We have taken those samples in custody. They would be matched with the remains recovered today at the lab." Dr Tatyarao Lahane, the Dean of JJ Hospital, said the hospital had received some bones from the Raigad police in 2012. "We carried out required tests and the report was given to Raigad police. We can not whether those were the remains of Sheena Bora, unless a DNA test is carried out." Maria, meanwhile, told the media that the police arrested a person for forging Sheena's resignation letter to her employer, Mumbai Metro One Pvt Ltd (MMOPL). "Questioning the person would throw light on many more facts," Maria said. The investigators also questioned Indrani's husband Peter Mukerjea on Friday evening. "He was called to the Khar PS to record a statement, after which he was allowed to go home," a source said. The long lapse of much time can be crucial in the investigation, feels advocate Abha Singh, who had raised the issue of delay in the Salman Khan hit-and-run case. "The biggest task for the investigators today is to prove that the corpse exhumed near Pen today belongs to Sheena Bora. It is too late to establish." The statement of Shyam Rai alone would not stand the test in court and the police need to prepare a fool-proof case with clinching evidence, she said. She also questioned the handling of the matter by Raigad police. "Why did they register a case of accidental death upon finding the charred remains of a body? Why was it not registered as a murder." "Also, if Rahul Mukerjea is speaking the truth, why did the Khar and Worli PS not take the case to its logical conclusion then?" READ NEXT >> The GoT dragons were born in Goregaon. But has Indian animation really arrived?